Men, Ungird Your Loins! Gainesville's Northeast Georgia Urology Group, N.G.U.A. now Performs the Pain Free "No Needle-No Scalpel" Vasectomy. 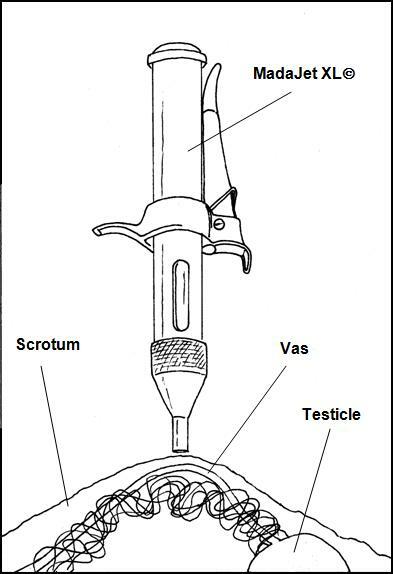 The number one objection voiced by the male to having a vasectomy done is the fear of pain. The Madajet lidocaine injector offers technology that allows for the painless infiltration of aneshesia without a needle. By offering the "No needle-No scalpel technique for a vasectomy, the urologists of the Northeast Georgia Urological Associates eliminate not only the fear associated with having a vasectomy but also the pain associated with the procedure. They take their motto concerning having a vasectomy very seriously, that is , " We cater to cowards." Women have known for years that when it comes to surgical procedures or pain, men are wimps.The Madajet eliminates the need for needles and allows us to unabashedly "Cater to Cowards." NGUA urologist, Dr. John McHugh is an advocate of the "No needle No scalpel" vasectomy and sold on the Madajet lidocaine injector. The number one objection men have to having a vasectomy is the fear of pain. "Doc, exactly where are you going to put that needle?" and "How bad is this going to hurt?" are commonly asked questions for the urologist performing vasectomies. The Madajet allows a vasectomy to be done painlessly, with minimal anesthesia and utilizing the no scalpel technique...without a needle. A vasectomy has long been known to be the most effective and most cost effective way for a couple to pursue contraception. With the addition of the No Needle Madajet infusion device the " last standing objection" to the male having a vasectomy has been eliminated. Dr. McHugh has been doing vasectomies for over twenty years. "The Madajet technology has done more to allay men's fears since the inception of the no scalpel technique," says Dr. McHugh. Having performed over 1000 vasectomies in his career, Dr. McHugh feels the "No Needle vasectomy" is a big step forward in eliminating the impediments to the male having a vascetomy. "Not only is the infusion of the lidocaine painless, a smaller volume of it is used which further facilitates the procedure. In addition it is a more accurate application of the medicine which results in better anesthesia," says Dr. McHugh. "A vasectomy has many advantages over other forms of contraception available to the female. It is a fifteen minute procedure, out patient, less expensive and the success rate is excellent, " says Dr. McHugh. Dr. McHugh has a blog, Prostate Diaries, which deals with issues regarding prostate cancer. His book,"The Decision: Your prostate biopsy shows cancer. Now what? Medical insight, personal stories and humor by a urologist who has been where you are now." is currently the number two selling book for paperback and Kindle on Amazon for prostate cancer. 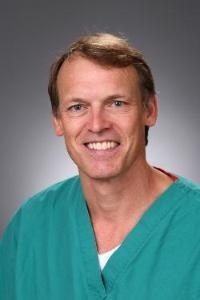 NGUA urologist Dr. John McHughDr. McHugh has performed over a thousand vasectomies during his twenty-four year career in Gainesville, Ga. No needle-No scalpel vasectomyWhen it comes to vasectomies- "We cater to cowards." Madajet anesthesia infusion device.Madajet technology provides anesthesia for a vasectomy without a needle. The Decision: Your prostate biopsy shows cancer. Now what?A book on prostate cancer by a urologist who is a prostate cancer survivor himself. The book uniquely outlines a "decision process" to aid the newly diagnosed prostate cancer patient.